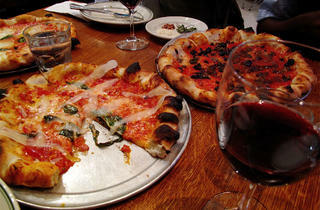 The casual pizza arm of chef-owner Craig Stoll’s popular Delfina restaurant, Pizzeria Delfina serves some of the best thin-crust pies in town. Primo ingredients such as fior di latte mozzarella, prosciutto di parma, and house-made fennel sausage elevate traditional pizzas to the level of haute cuisine. Perennial favorites include Clam Pie, topped with cherrystone clams and hot peppers, and Carbonara, which gives the classic pasta dish a new spin with guanciale (pork cheek salumi), farm egg, pecorino, and scallions. The pizza here is just so good! The service is friendly, and despite long waits, you never feel rushed. 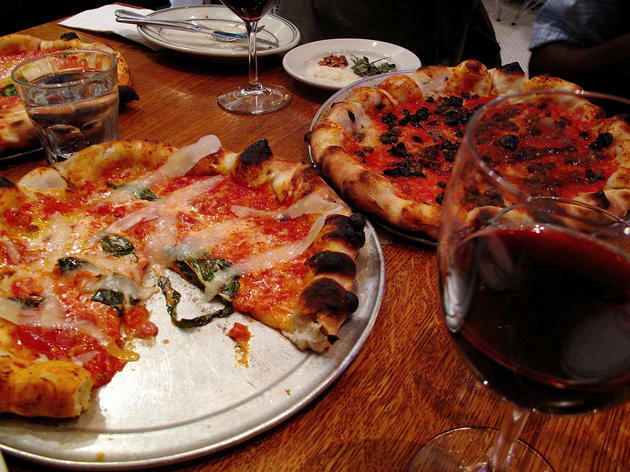 Definitely order some wine to go with your 'za, and don't be afraid of veggies on the menu you've never heard of before—we tried a few and all were delicious (of course). I just wish the lines were shorter!